If you choose newspaper advertising you have the choice to reach a large or smaller geographic collection of people. With national newspaper advertising the coverage can be huge… but so can the price of the advertisement, sometimes prohibitively so. It’s a case of weighing up the costs to your company and considering whether they can be justified. 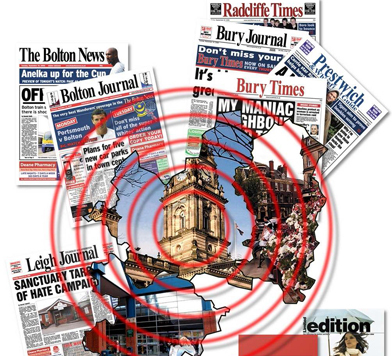 However, with regional newspaper advertising, you have the advantage of being able to tap into a local audience and usually this is the best option, especially if you are advertising a company on the very doorstep of the audience in question. You will also find that the rates are generally a lot lower then national newspapers and costs can start at just a few pounds. Our talented team can design an individual advert or a series that can run in one edition or over a number of weeks or months, an option that has paid dividends for hundreds of businesses in the past. We at SLS Advertising Services have had many years experience working within the newspaper advertising sector and can give you invaluable advice on what is the best option for your company. Don’t make any rash decisions regarding your newspaper advertising plans until you contact SLS for the best guidance in the business.